The Hope Clinic team consists of a dedicated group of volunteers and staff who are committed to seeing all persons in their city have access to quality health care by operating a faith-based medical clinic. In 2014, leaders of The Parks Church came face to face with the realities of the immense gap in medical care available to members of our community when attempting to assist a low-income, uninsured neighbor. Eager to learn how to be a part of the solution, they met with community leaders to discuss the problem and possible solutions. In that room, the vision for Hope Clinic began. The Parks Church began talking with other McKinney non-profit organizations, as well as health care providers to gather more information about the need, as well as how the church might come alongside the medically underserved in our community. In the summer of 2016, Hope Clinic of Garland welcomed The Parks Church team into the clinic and provided much needed encouragement and direction. In the fall of 2016, a team was formed to begin taking steps to make Hope Clinic of McKinney a reality. God was gracious in continuing to remove obstacles and open doors. Hope Clinic began an incredible partnership with the Baptist Immigration Center, who generously offered to donate the use of their building when they were closed for Hope Clinic operations. 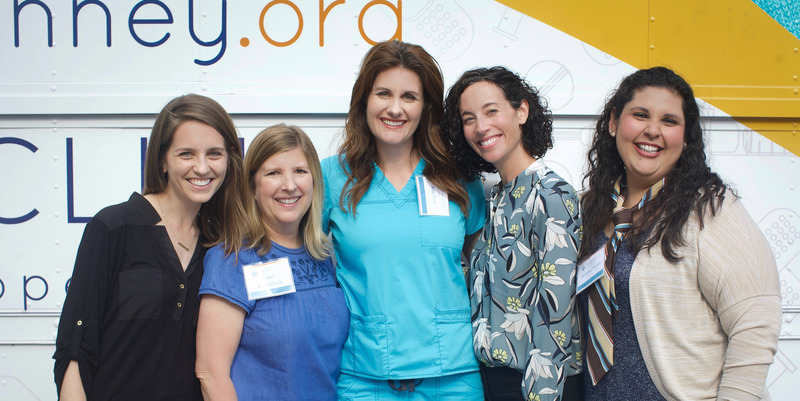 Empowering Community Health Outreach (“ECHO”) donated their consulting services to provide vital direction and infrastructure to the clinic planning. In January 2017, a planning team was formed to spearhead Hope Clinic’s communications, site planning, operations, legal, and financial goals. Through the hard work of that team, and the support of the community, Hope Clinic opened its doors in July 2017 and has been serving our neighbors ever since. We are humbled and grateful to be a part of addressing the health care needs in our city and invite you to join us. We need people like you to serve those who need it most. Hope Clinic provides health care services and resources to low-income, uninsured McKinney residents. Hope clinic does not charge a fee for its services. We ask that patients participate in their care by making a donation to help cover the costs of another patient who utilizes Hope Clinic. However, no patient will ever be denied services based on their inability to donate.